Although there is obvious benefit to be drawn from the synergy created from ‘the whole’, we would be remiss if we did not recognize and highlight the individual expertise that makes up the sum of ERA’s parts. Staff have been treated to two presentations recently that featured their peers introducing topics for which they possess expertise through weekly ongoing information session series. First up, ERA Associate Jessie Grebenc gave a talk on ‘Heritage Mortars 101’ as part of the Wednesday Design Forum series. The presentation led in with the philosophical decision-making process required to conserve a building. 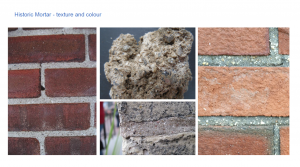 More thoroughly, it defined mortar, its components, uses and evolution, how to determine its age based on set analytical criteria and the related issues/challenges that arise under various circumstances (such as Canadian vs. European material, manufacturing and climactic contexts). 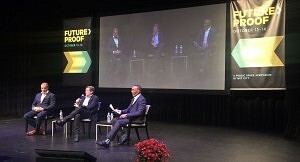 The presentation was intended to give staff a solid foundation on the topic, discuss best practices from the North American and British contexts, and review the options available given the multiple factors surrounding the project. ERA Associate Jan Kubanek and Project Manager Sydney Martin presented on the topic of ‘Heritage Interiors’, highlighting the project work completed to date on the Government Conference Centre (GCC) in Ottawa and a review of the topics presented at the Architectural Paint Research Conference in New York City that they attended in the spring. Jan provided an overview of the GCC Rehabilitation Project currently underway that is transforming the former Ottawa Union Station into an Interior Senate facility, a project on which ERA is the heritage conservation architect working with Diamond Schmitt/KWC Architects in Joint Venture. 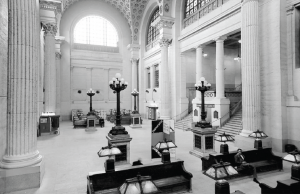 The Beaux-Arts interiors are characterized by a formal procession route taking the visitor through the Rideau Entrance Lobby, down a grand stair into the General Waiting Room, through the Ticketing Block Anteroom and into the Concourse. Finishes include marble floors and wall paneling, imitation travertine wall finishes (a patented process involving the application of tinted plaster with a texture characteristic of travertine laid in ashlar coursing, elaborate plaster ceilings and suspended plaster ceilings in the two large spaces. The rehabilitation project, through careful paint and material analysis, allowed the revealing of the original colour and material palette of the building that had been concealed over time. Sydney Presented on aspects of paint technology, assessment and methodology and how they apply to ERA’s work on the GCC. 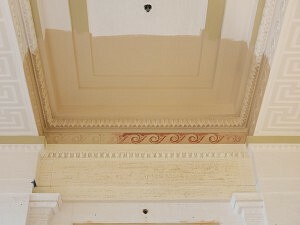 Due to the condition of the original faux travertine plaster walls (scagliola) and the extreme difficulty of using the original plaster technique for repairs it was decided to replicate the original appearance of the tinted plaster faux travertine with paint and provide a unified appearance. Her presentation focused on the development of the paint technique and colour selection for the imitation travertine surfaces that honour the original design intent. 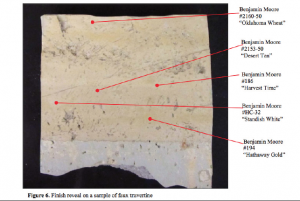 The colours for the faux travertine were derived from analysis of the original tinted plaster. The painted technique was meticulously tested on mock surfaces and under various lighting to emulate the original faux travertine surfaces in the building. 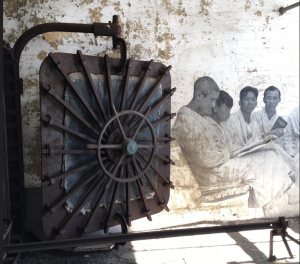 She then shared details of her experience at the conference, including a presentation by a Painting Conservator/Consultant, and a tour of Ellis Island featuring installations by French artist JR entitled ‘Unframed’ that added a layer of heritage interpretation to the abandoned spaces as a reminder of their purpose as an entry point to America for millions of immigrants. All photography courtesy of ERA Architects. All historic images accredited to the Library and Archives Canada. All renderings accredited to DSA-KWC Architects in Joint Venture. Both the Broadview Hotel and Eva’s Phoenix were named as finalists for the REBUILD category of the 2017 Brownie Awards, a program of the Canadian Brownfields Network established to promote projects and programs arising from the brownfield community. 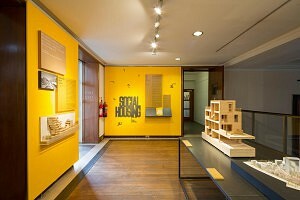 The REBULD category in particular recognizes ‘excellence in site-specific responses to public policy initiatives that accelerate the pace of regeneration resulting from development’, promote an enhanced public realm and successfully reimagine the adaptive reuse of heritage structures that promote increased health and well-being. Eva’s Phoenix, located at 60 Brant Street (at the corner of Richmond Street), took home top honours. 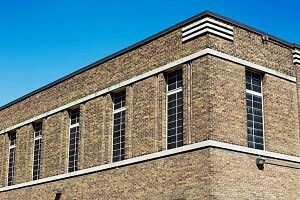 ERA’s role was of heritage consultant, supporting the work of lead architect LGA Architectural Partners. 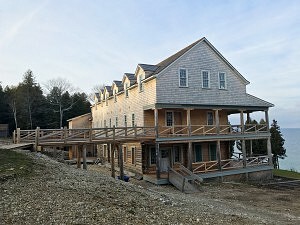 The scope of work included the photographic documentation of the property; conducting background research on the history of the property and its context, sourcing archival photographs and context maps; determining the impact of the proposed development on the existing heritage fabric; and preparing the Heritage Impact Assessment report, including a Statement of Cultural Heritage Value. The project team was comprised of Michael McClelland and Sydney Martin. The site was once home to Toronto’s Water Works building, a heritage-designated property that was the site of the St. Andrew’s market from the 1830’s until 1860, when it was destroyed by fire. After an 1873 rebuild, the activity in the market began to decline, forcing it to close in the early 1900’s. The building that stands today was built in the Art Deco-style of architecture in 1932, designed by then City Architect J.J. Woolnough. 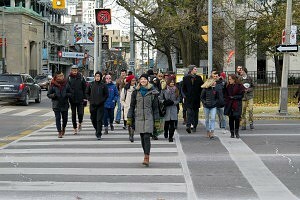 It’s location between the high-density and thriving neighbourhoods of Queen and King Street West presents an exciting opportunity to redevelop the site as a culturally-rich, inclusive and dynamic resource for the local community. ERA has been brought on board as the heritage consultant to review the heritage approach and specify and review the conservation work. 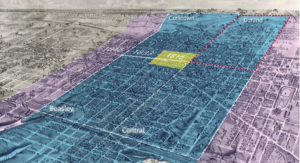 The site will eventually include a new YMCA, a public food hall, affordable housing, and a residential condo development tower that sits atop the conserved heritage base. 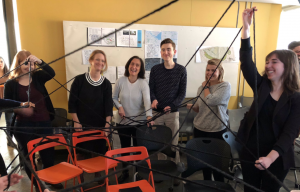 The project team consists of Michael McClelland, Andrew Pruss, Annie Pelletier, Dan Eylon, Annabel Vaughan, Miranda Brunton, Anna Pavia, Diana Roldan and Peter Pantalone. Photos courtesy of Nathan Cyprys. 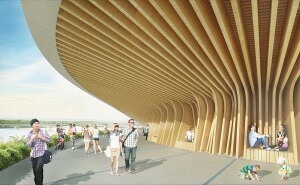 Team Rosenberg’s design concept – ‘Big River Landscape’ – has been selected as the winner of a prestigious international design competition that proposes the redevelopment of Nepean Point into an enhanced public park and major destination at the heart of the Capital. The design team is made up of Janet Rosenberg & Studio Inc. with Patkau Architects, Blackwell Structural Engineers, and ERA Architects Inc.
On Thursday, October 5th four shortlisted proposals were presented at the National Capital Commission’s Urbanism Lab, followed by a period of public feedback through the NCC’s website. The winning scheme was announced on November 23rd, 2017. Taking full advantage of dramatic natural topography, exposure to the elements, and a panoramic vista, ‘Big River Landscape’ envisions Nepean Point as the premier place in the Capital region to immerse the senses in the experience and drama of the Ottawa River valley, an ancient and continuing cultural landscape that is deeply associated with the layered histories that tie all peoples of Canada to this land, and which also defines our evolving identities as we shape our collective future. 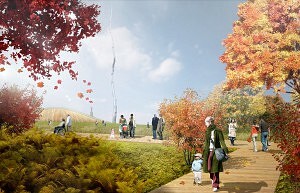 Envisioned as an inclusive public place, the design seeks to give a voice to various actors and histories, each one connected to Nepean Point in a meaningful way: the land, the river, First Nations, the Parliamentary and Federal landscape of the capital, artists, visitors experiencing the site, and all Canadians. 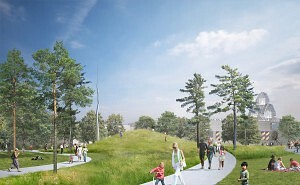 ‘Big River Landscape’ envisions a significant new public destination, contributing to the restoration of the sense of the river as the heart of the National Capital Region within the collective imagination of Canadians. 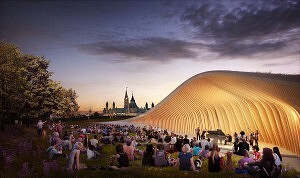 It also proposes important new connections to surrounding open spaces and federal institutions, including the National Gallery of Canada, and Major’s Hill Park. 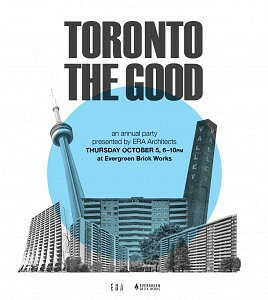 ERA is thrilled at the chance to continue to collaborate on this important new public space for all peoples. ERA’s team includes: Michael McClelland, Victoria Angel and Brendan Stewart, and as a sub to ERA: Lisa Prosper Heritage Consultant. As ERA continues to grow and evolve, the Executives and Associates are very pleased to appoint Ya’el Santopinto to our leadership team. Ya’el has demonstrated commitment to our core values of city building, rehabilitation of heritage buildings, and democratic community design, and has used these values to help the firm expand into new areas. 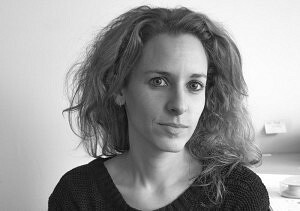 Ya’el is a registered Architect at ERA who specializes in affordable and energy-efficient housing, international housing policy and regulation, and the adaptive reuse of heritage buildings. Ya’el is also the Director of Research and Partnerships with the Centre for Urban Growth and Renewal, leading work on Tower Renewal — an initiative to catalyze reinvestment and community building in apartment tower neighbourhoods. Her work includes research, advocacy, and implementation of best-in-class practices in energy retrofit, affordable housing and planning policy, green financing, and social inclusion. 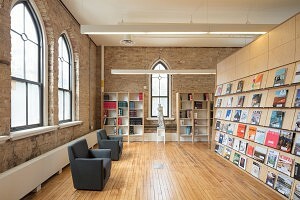 ERA has been eagerly anticipating the official opening of One Spadina Crescent, the University of Toronto’s new home for the Daniels Faculty of Architecture, Landscape and Design. 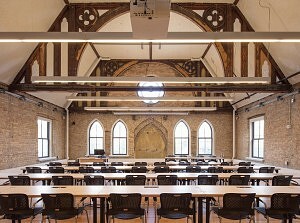 Our collaboration with NADAAA and Adamson Associate Architects has seen the transformation of the historical landmark that is Knox College, conserved and updated with a beautiful new addition. The history, relevance and inspiring new context of the building is captured in an insightful piece in the Globe and Mail by Dave LeBlanc, including a few words from Michael McClelland (see link below). 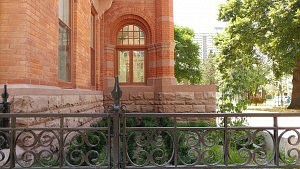 The site was originally designed as a garden feature for the Baldwin family, who owned the Spadina park lot that extended from Queen Street West to Bloor. In the 1870s, the Presbyterian Church bought the land and commissioned architects James Smith & John Gemmell to build Knox College. Having been adapted over the years to a number of different uses, the structure survives today as a fine example of Gothic Revival architecture, with a heritage designation (designated under Part IV of the Ontario Heritage Act on March 17, 1976). 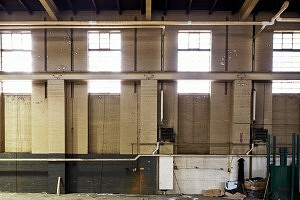 Beginning in 2006, ERA worked with the University of Toronto and advised on heritage issues related to the site’s re-development. Since 2011 ERA has been working closely with prime architects, NADAAA, on the project. 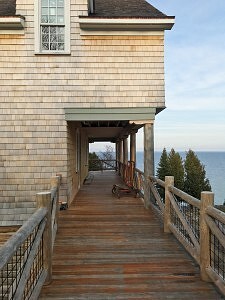 Phase 1 included the conservation of the exterior, and Phase II, the new addition extending from the historic building. As heritage consultant, ERA prepared the Heritage Impact Assessment, Conservation Strategy and Conservation Plan, and provision of heritage architecture services related to the conservation scope of work (exterior and interior) throughout all phases of the project. The project team includes: Michael McClelland, Andrew Pruss, Julie Tyndorf, Alana Young, and Tatum Taylor. 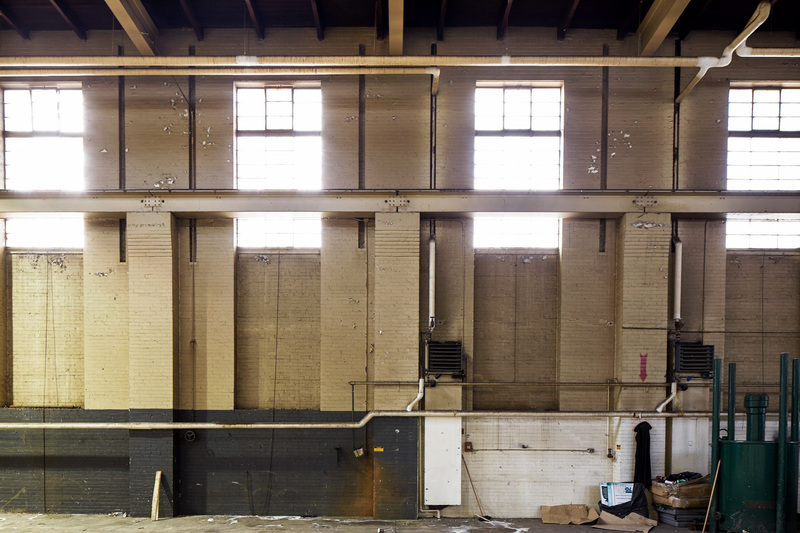 The article reintroduces the heritage building to the public mindset, reinforcing its position as a work of prominent architecture in its own right, as well as a new asset in Toronto’s evolving cultural landscape. 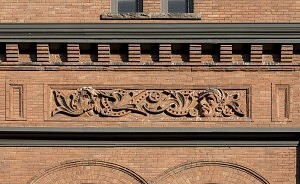 How does one breathe new life into a building that was once grand but has since ‘lost its lustre’? The Architectural Conservancy of Ontario NextGen designers have put out a public call for ideas that will transform Toronto’s landmark bus terminal on Bay Street, culminating in an all-day on-site event on Saturday, November 11th. 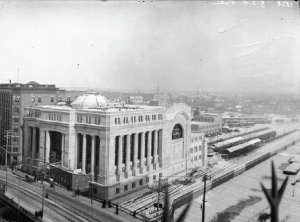 The building was designed by architect Charles B. Dolphin, widely known for designing the Consumers Gas building (at 2532 Yonge St. Building), 1931; the Postal Delivery Building, now forming part of the Air Canada Centre (at 50 Bay St), 1941; and TTC Headquarters (1900 Yonge St), 1958. The architectural style is a classic example of Art Deco/Art Moderne, containing notable interior elements for the period, such as Scagliola plaster, streamline staircase, layout and prominent central skylight. It opened to the public in 1931 for the purposes of serving the customers of the Gray Coach bus line (in operation from 1927-1991). Service providers changed hands after many years of operation. 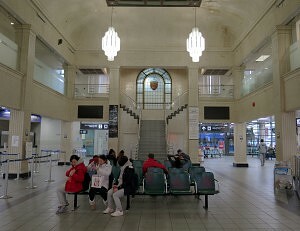 The terminal underwent one major renovation in 1984 to alter the bus bays and a second minor renovation in 1990 to increase the seating capacity of the passenger room. The terminal may potentially be declared surplus, with the development of new bus terminal at 45 Bay Street. ERA’s Tatum Taylor toured the group through the building and The Ward to provide context for the day. ERA Principal Scott Weir delivered a talk on the building’s architecture and history, followed by an introduction to examples of adaptive reuse projects, such as Loblaws Warehouse, Postal Station K, Massey Tower, Maple Leaf Gardens, Casey House and the Carlu. The event is timely, as talks have been underway at the municipal government level for months, to determine the future of the site. 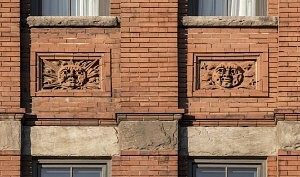 Change is in the air, and possibilities for conserving the building as a landmark destination for both heritage architectural lovers and community dwellers alike abound. 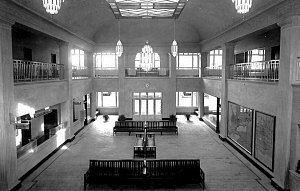 Photo of original Bus Coach Terminal interior courtesy of City of Toronto Archives. Photos of current Bus Coach Terminal interior and ACO tour courtesy of ERA Architects. The Tower Renewal RAC Zone, a partnership between ERA Architects, the Centre for Urban Growth and Renewal, United Way Toronto & York Region, Toronto Public Health and the City of Toronto, has this week been honoured with an OPPI Award of Excellence. 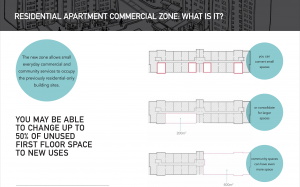 Through research, advocacy, and collaboration, this new zoning framework has been developed and is poised for implementation in hundreds of Toronto’s vertical neighbourhoods, that will remove barriers for a range of exciting small-scale businesses and community services. A City-wide zoning change of this type is a first for Toronto, and would not have been possible without this diverse group of collaborators and stakeholders working together. 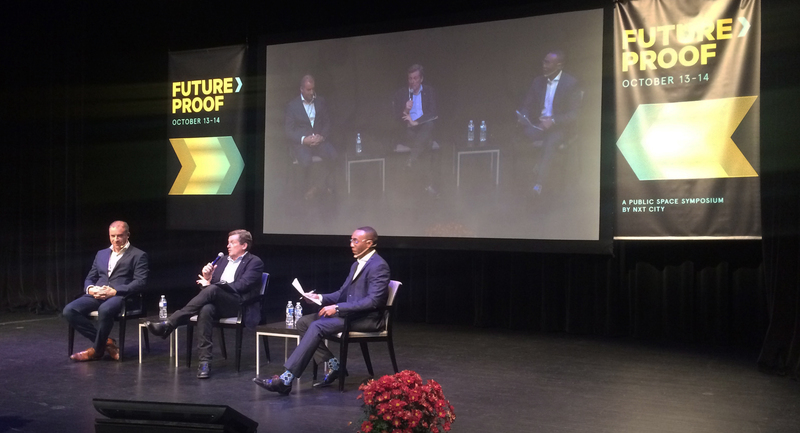 It is a testament to what is possible through collaboration, and perhaps the start of new way for social agencies, local communities, architects, and the City to work together towards a brighter Toronto. The OPPI Award for Excellence in Planning – Municipal Statutory Planning Studies, Reports and Documents award ‘recognizes excellence in all aspects of the profession and the high caliber of work by professional planners within communities across the province’, as stated by their Director of Public Affairs, Loretta Ryan. 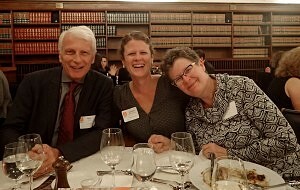 The Architectural Conservancy of Ontario hosted its annual awards dinner on Friday, October 23rd at Osgoode Hall. The event presents opportunities to celebrate notable provincial people, projects and initiatives related to the field of built heritage conservation. ERA is thrilled to share that Edwin Rowse was honoured this year with the Eric Arthur Lifetime Achievement Award. Edwin has specialized in the field of heritage architecture for more than 35 years, and has been in partnership with Michael McClelland since 1990 as a co-founding principal of ERA Architects Inc. A specialist in building and environmental assessment and restoration, his work has encouraged renewed interest in historical forms and techniques and has served the restoration, adaptive reuse and preservation of many heritage buildings including the Government Conference Centre (Ottawa), the Union Station Train Shed Enhancement (Toronto), the Legislative Assembly of Ontario (Ottawa), the archives of Trinity College at the University of Toronto, the East Enlisted Mens’ Barracks on the CNE Grounds (Toronto), and Tafelmusik/St. Paul’s Church (Toronto). Edwin is widely respected for his broad depth of knowledge in conservation science, his commitment to fairness and respect, and his generosity as a mentor. The firm is also pleased to announce another award win for the Broadview Hotel, the Paul Oberman Award for Adaptive Reuse (corporate). Its revitalization is the most visible manifestation of the area’s transformation from its ‘rough around the edges’ recent past into a lively destination. 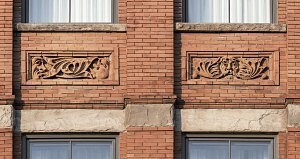 Completed in 1892, the Broadview Hotel was built in the Romanesque Revival style of architecture, with ornate exterior terracotta panels, decorative arches, and classical columns. The conservation strategy for the site focused on rehabilitation and restoration, in order to maintain the key architectural features of the building while constructing an addition, ensuring it housed street level commercial uses and remained open to the public. Standards were followed as the guideline for the work, and historic photographic evidence was consulted to inform the restoration. The hotel’s conservation and adaptive reuse demonstrate the collaborative commitment of ERA Architects and Streetcar Developments to create culturally rich and livable communities in the downtown core. Congratulations to the ERA project team: Michael McClelland, Andrew Pruss, Annabel Vaughan, Annie Pelletier and Jasmine Frolick. Lastly, we wanted to give a shout out to the project team behind the rejuvenation of the National Arts Centre (NAC) at 1 Elgin Street in Ottawa, a project which sees the building transformed and expanded to engage with the surrounding streetscape, enhancing the visibility and accessibility of the main entrance. ERA served as Heritage Conservation Advisor for Diamond Schmitt Architects on the project. Our role was to provide advice in regards to heritage and conservation issues and to assist in the development of a conservation approach for the proposed rehabilitation and interventions. Project team members include: Michael McClelland, Edwin Rowse, and Victoria Angel. Hamilton’s newest live music venue is ready to showcase talent from across the region and beyond. New Vision United Church, the 150-year-old building located at 24 Main St West, formerly known as Centenary Church, is in the process of being transformed to comply with music industry standards while retaining its primary function as a place of worship. 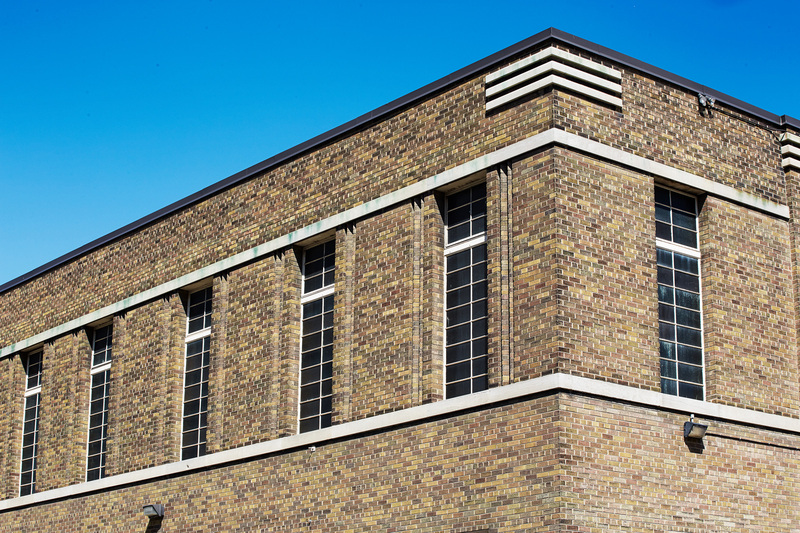 In a creative bid to better serve and engage with the wider community, the church congregation is opening their doors to the music industry and its patrons, providing new context to the site as a 1,000-seat live performance venue, ‘The Music Hall’. The church has already played host to several high-profile entertainment events, such as a ‘Welcome to Hamilton’ benefit concert to raise money for newcomer/refugee youth as a part of Hamilton’s Supercrawl festival, headlined by The National, with performances by Kevin Drew, Hayden, JUNO Fest 2015, with musical guests including Joel Plaskett, Jenn Grant, and Mo Kenney, and a folk-rock performance by musician Terra Lightfoot. There is also an upcoming concert on November 18th with acclaimed Canadian singer-songwriter Daniel Lanois, with tickets available for sale online now. The church will be seeking a heritage designation, which will describe the cultural heritage value of the building and guide its renovation work. ERA is working in an architectural consultancy capacity to meet critical building code requirements for fire-rating and washrooms. The next phase of work will include a ticket booth, upgraded seating and acoustics, and a renovated entrance lobby. To garner a sense of the needs of the patrons and discuss what other uses could compliment the building as a concert venue, the firm is attending the New Vision open house on Thursday, October 26th from 5:00 – 7:00pm. The event is free to attend and all members of the public are welcome to attend. Please come with your ideas for transformation! Ottawa played host to a fulsome heritage conference last week, from Tuesday, October 10th to Saturday, October 14th. 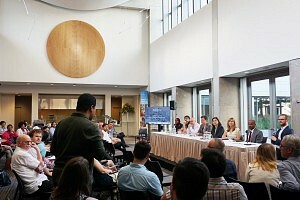 The annual event was presented by The Association for Preservation Technology International (APT), National Trust for Canada and Canadian Association of Heritage Professionals (CAHP). 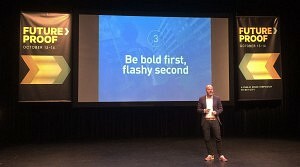 The conference was an opportunity for the partners to showcase their content in an historic capital city during a year that has seen countless celebrations marking Canada’s 150th birthday. ERA staff were well-represented amidst the industry attendees and in a celebratory mood, as several firm projects were acknowledged through one of the showcase events on the Friday evening, the National Trust & CAHP Awards Ceremony & Reception at St. Brigid’s Centre for the Arts. 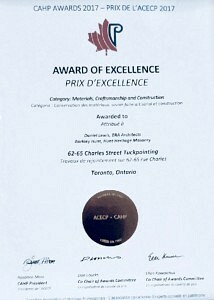 The 2017 CAHP Awards acknowledged the work of ERA Associate Daniel Lewis, along with Barkley Hunt of Hunt Heritage Masonry with the Award of Excellence for Conservation: Materials, Craftsmanship and Construction for the tuckpointing of 62 – 64 Charles Street, a traditional and specialized technique used to enhance the appearance of heritage masonry. 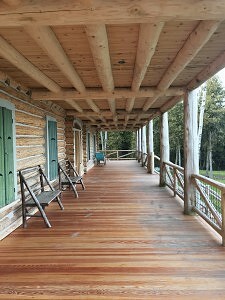 ERA Principal Scott Weir and Associate Jessie Grebenc were also tapped for their contribution, along with contractor Clifford Restoration Ltd. for the Award of Merit for Conservation: Materials, Craftsmanship and Construction for the conservation of the William Johnson House as part of the new facilities for Casey House, a collaborative project with Hariri Pontarini. 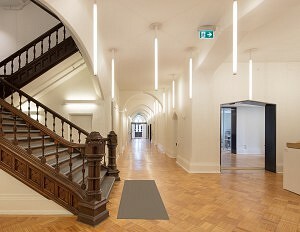 Lastly, ERA Principals Michael McClelland and Edwin Rowse, along with Project Manager/Architect Sydney Martin are proud to have been a part of the award-winning team for the National Trust for Canada Ecclesiastical Insurance Cornerstone Award of Excellence in Adaptive Use/Rehabilitation for the heritage conservation of Eva’s Phoenix, in a supporting role for LGA Architects. 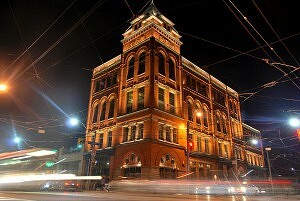 The building is a new facility that is transforming the lives of Toronto’s homeless youth in the west-end of the city. Canada faces a growing housing affordability crisis. Now is the time for coordinated action to build a future around more complete, resilient, and affordable cities – and Tower Renewal is a strategy for realizing this change. Postwar apartment towers are the backbone of Canada’s purpose-built rental stock, and provide affordable housing to millions of Canadians. 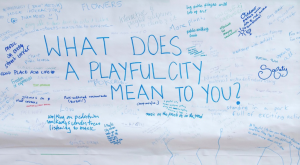 On October 5th, 2017, international experts and local city-builders came together to explore innovative strategies for transitioning these aging apartment tower neighbourhoods to meet the demands of our 21st century cities. 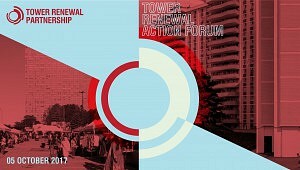 The Tower Renewal Action Forum showcased exemplary practices at home and abroad, focused on housing transformation, neighbourhood resilience, and the maintenance of affordability in our apartment tower neighbourhoods. 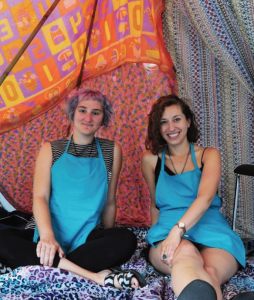 PARTISANS and Storefront for Art and Architecture present ‘Letters to the Mayor’ during the EDIT Festival, which challenges visitors to consider how we can make the world a better place. 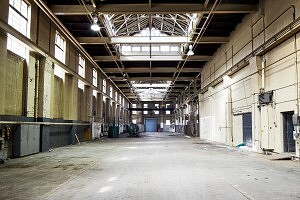 EDIT also brings life back to the abandoned Unilever Detergent factory in Toronto’s Port Lands, a 150,000sqft abandoned factory set on 60-acres of brownfield. This area will be reimagined as ‘East Harbour’ in the coming years, branded as Toronto’s newest commercial and cultural district. 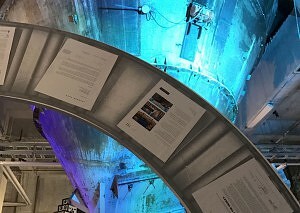 The ‘Letters to the Mayor’ exhibit is presented as an international letter-writing campaign from architects to their local public officials and/or developers, installed and presented for public consideration of architects as inspired city-builders. 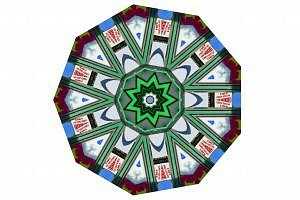 It presents a range of communications, from formal written statements to graphic representations of design problems. 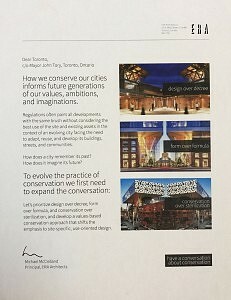 ERA’s founding principal, Michael McClelland responded to an invitation to participate with a focus on heritage conservation as an evolving practice that should prioritize design over decree, form over formula; shifting the emphasis to site-specific, use-oriented design. Produced by Design Exchange, in partnership with the United Nations Development Programme, this inaugural EDIT festival examines the theme of “Prosperity For All” through an array of curated pavilions, talks, and installations. 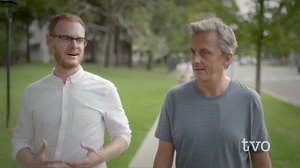 It runs for 11 days, from September 28 – October 8, 2017. 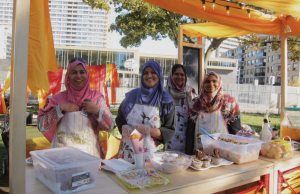 As Toronto’s east end and Riverside neighborhood enter a new phase, there is an opportunity to reflect on the social, political, cultural, and physical context while celebrating visions of the future. At Independent Project 77 of Nuit Blanche 2017, a collection of performances, projections, sculptures and installations along Broadview Avenue and Queen Street East will merge art and architecture, technology and nature, as well as public and private spaces to highlight the present, cause us to reflect on the past, and invite us to look to the future of Toronto’s changing east end. 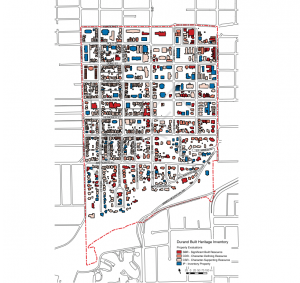 For more information on the projects please visit the site here. Host Mikael Colville-Andersen covers feel-good stories from local community-driven initiatives to government-funded transit and harbour front enhancement projects. 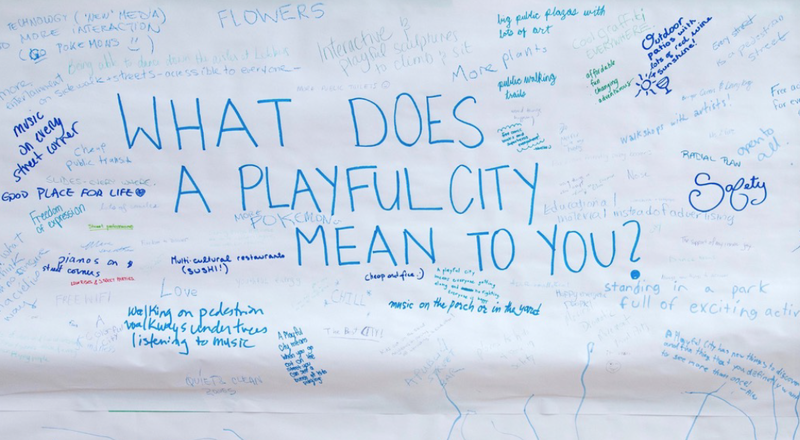 The city is promoted as diverse, personable and multi-faceted. This collection of stories is what defines Toronto as a livable city, one whose population growth continues to outpace all others in North America. At the 28.20-minute mark ERA Principal Graeme Stewart introduces the Tower Renewal Project as an important endeavour to increase the viability of Toronto’s post war tower neighbourhoods. 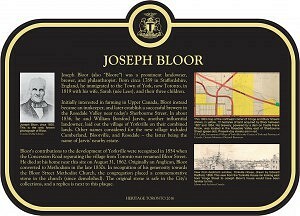 On Thursday, August 31st from 12:00 – 1:00pm at 117 Bloor Street East, Heritage Toronto will be hosting a plaque unveiling to commemorate Joseph Bloor. His surname harkens images of the city’s main cross-town artery and the path along which half of the TTC’s Line 2 traverses. What many do not know is that Joseph Bloor was originally from Staffordshire, England. He lived from 1789–1862, immigrated to Toronto in 1819 and is credited with founding the village of Yorkville. 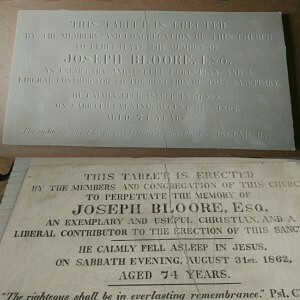 ERA was hired to clean, conserve and erect the plaque commissioned in his honour by members and the congregation of the Bloor Methodist Church. After assessing its condition, it was determined that the original plaque – which is trapezoidal in shape and made of white marble – would be too fragile to leave exposed to the elements over time, so a replica was made out of concrete poured into a silicon mold. It has been finished with a faux patina that matches the original stone and sealed for protection. The replica is mounted under glass and forms part of a permanent interpretative display at St. Andrews United Church. It is supported at the top and bottom with a continuous 1/4” stainless steel bracket attached to an armature. Due to the fragility and historic value of the original plaque, it is in permanent storage at the Toronto Heritage Artifact Archives.